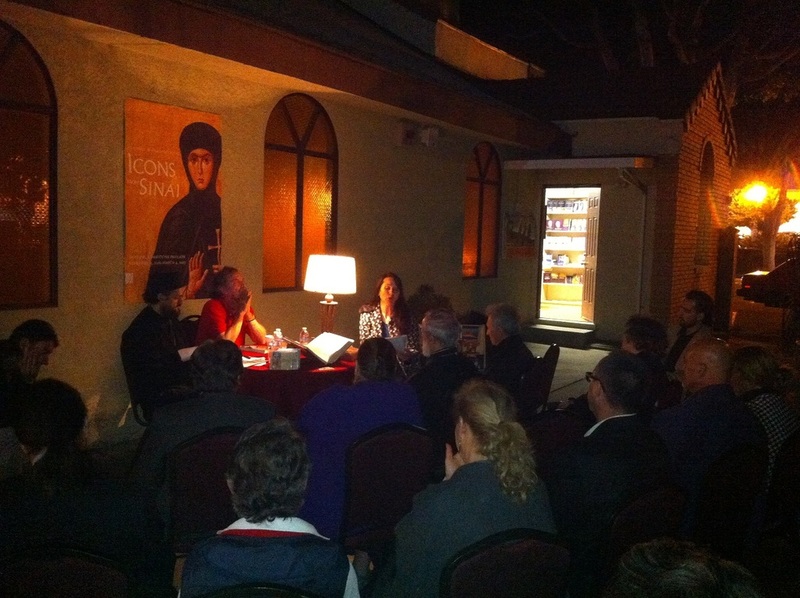 Arcadia, CA - In the church courtyard of Christ the Savior Serbian Orthodox Church in Arcadia, California a literary evening was held and the promotion of an audio book "Бисерне сузе" by Zeljka Cvijetin Gortinsky. His Grace Bishop Maxim of Western America spoke about Serbian epic poetry and it's place in Serbian cultural heritage, to the sounds of gusle in the background. Also speaking on this topic were Zeljka Cvijetin Gortinsky and Misa Tasic, one of the editors of this audio collection of poems. Zeljka Cvijetin Gortinsky, in her strong and emotional telling, served as narrator and tranferred to all those in attendance the Serbian epic poetry and all of its strong emotions and acuteness for courage and freedom, but also the feeling of pain, sadness and suffering that characterize the poetry of the Kosovo and post-Kosovo cycle.